Convert class diagrams to code stubs in one of he available programming languages. Special thanks to Brian Folts for building the conversion code. If you want to help improve this feature please log issues here. Convert raw PlantUML text into a URL. The URL can then be copies into a browser in order to create the diagram image. This URL is useful when trying to put PlantUML diagrams into documents or uploading them to other websites. You can generate the URLs manually using the form below, or folow the link below to learn how to programmatically call a web endpoint and run this functionality automatically. 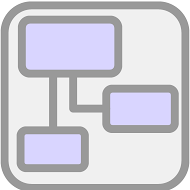 PlantText is a text-based tool for quickly creating clear UML diagrams that can be compared, versioned, and managed. Simply type PlantUML language into the editor and refresh the screen to produce a professional diagram. Save, export, or copy the image for use in your requirements or design documents. Press the Alt + Enter keystroke combination to refresh the PlantUML diagram. This way you don't have to use your mouse to refresh at all. A quick way to learn PlantUML is by working through the sample dropdown list. These PlantUML diagrams are grouped by diagram type and follow a natural progression. We will continue to add to this list over time. If you login with your Google account, you can then use the "Save" button to store your PlantUML and other settings to the PlantText server. If you do this, your PlantUML will automatically load any time you login. You can press the "Load" button if you want to revert to the saved PlantUML and user settings. Use the 'Files' button to quickly export and import PlantUML as text files to and from your local file system. Be careful though because importing will copy the PlantUML in those files over any PlantUML you already have in the PlantText editor. The 'Settings' buttons contains user settings that affect the way the editor works and it's appearance. You can switch to VIM or Emacs mode if you are an old school unix geek. If diagrams are not refreshing quickly or not at all, the PlantUML server may be slow or completely down. Use the 'Server' button to enter a URL to a different PlantUML server in order to make it work or speed it up. You can follow the instructions here in order to set your own PlantUML server up. Update: Thank you for all the emails with ideas and concern. Don't worry! The PlantText website will always be available. Based on all the feedback, I will be moving forward with a donate button to help with hosting costs and development time. I will also be moving towards making the software open source on GitHub so anyone can contribute to fixes and new features. I don't timeline as of yet, but will keep you posted.